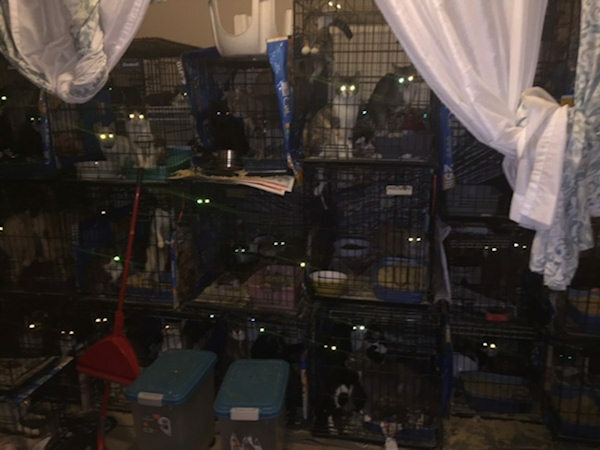 WEST NEW YORK, New Jersey (WABC) -- 35 of the 81 cats found stuffed into a tiny bedroom in a New Jersey apartment are now ready for adoption. "Deplorable conditions and the stench of death is all over the room," an official said. One would not believe what was discovered in the apartment in West New York. 81 cats and five dogs crowded on top of each other, confined to a tiny 9 by 9 space. A neighbor tipped police last Friday when the odor next door was overwhelming. "I always had a smell that would come into our unit since the walls meet, but the last few days it was like something died. It was unbearable," said Tanya Rodriguez, a neighbor. 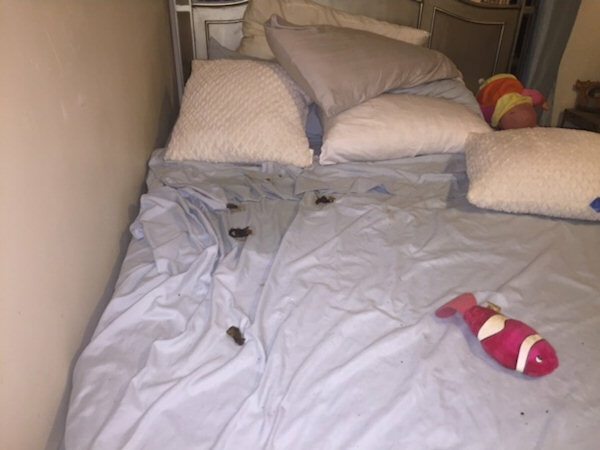 "I have never seen animals floor to ceiling, with someone's bed, someone sleeping in that room," said Dr. Gina Miranda-Diaz, West New York Health Department. "We believe it's a hoarding situation. 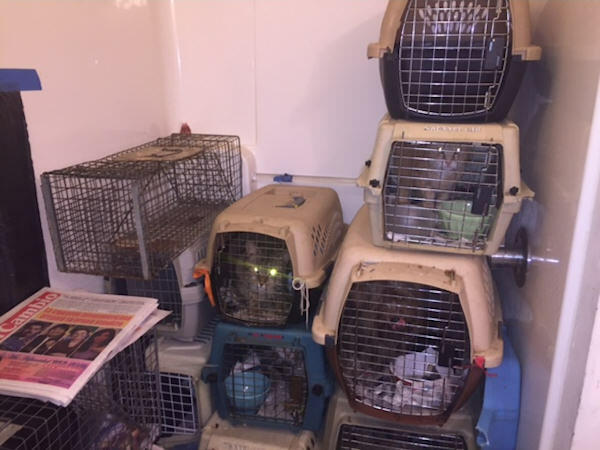 They try to save one, and one leads to five and then to 10," said Geoffrey Santini, a humane officer. "I don't have words for the poor animals. It's heartbreaking," Miranda-Diaz said. People interested should call the mayor's office at 201-295-5100; they will go through an interview process before adoption. 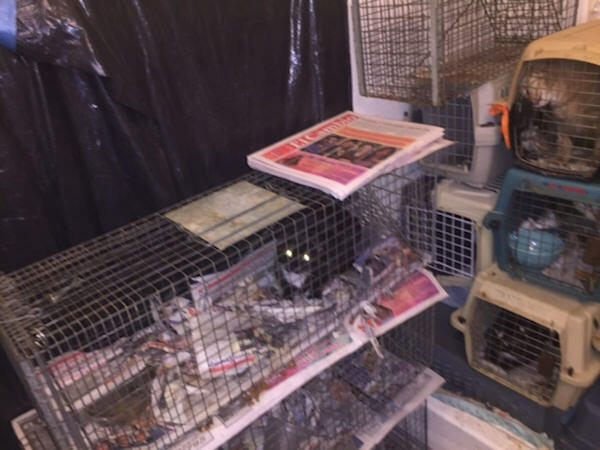 The cats are currently being housed at the Department of Public Works. 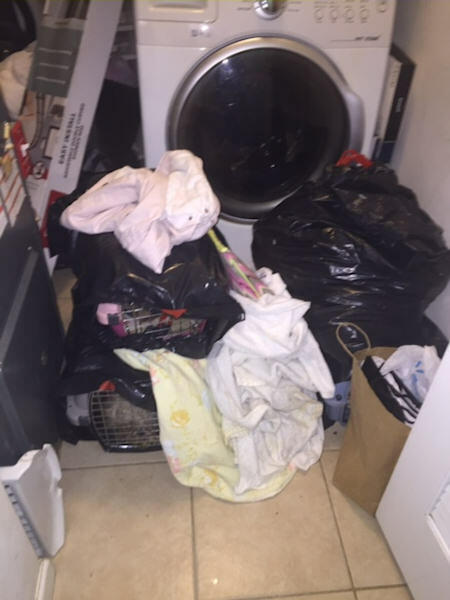 The three women who lived in the apartment, Eveline Bernacet, 66; Jenny Guevara, 43; and Alexandria Torres, 20, have been charged with 86 animal cruelty summonses for failing to provide proper food, water and shelter. They are scheduled to appear in municipal court on June 7. Fines can be close to $300,000 for each woman. The home has been sealed off and cleaning crews will go in this week. The women will also be billed for the cleaning.